Several years ago Andrew Bostom published a comprehensive survey of antisemitism as expressed in the Qur’an. The article is unfortunately no longer available online, so the author has kindly sent us the full text. It will be posted here in four parts over the next few days. The Qur’anic depiction of the Jews â€” their traits as thus characterized being deemed both infallible and timeless â€” highlights, in verse 2:61 (repeated in verse 3:112), the centrality of the Jews “abasement and humiliation”, and being “laden with God’s anger,” as elaborated in the corpus of Muslim exegetic literature on Qur’an 2:61, including the hadith and Qur’anic commentaries. The terrifying rage decreed upon the Jews forever is connected in the hadith and exegeses to Qur’an 1:7, where Muslims ask Allah to guide them rightly, not in the path of those who provoke and must bear His wrath. This verse is in turn linked to Qur’anic verses 5:60, and 5:78, which describe the Jews transformation into apes and swine (5:60), having been “…cursed by the tongue of David, and Jesus, Mary’s son” (5:78). Moreover, forcing Jews, in particular, to pay the Qur’anic poll tax “tribute,” (as per verse 9:29) “readily,” while “being brought low,” is consistent with their overall humiliation and abasement in accord with Qur’an 2:61, and its directly related verses. After presenting a full spectrum of the major anti-Jewish motifs in the Qur’an, additional illustrations demonstrating their persistent influence on Muslim attitudes (and resultant behaviors) towards Jews, are provided. Four themes are considered, and their historical application illustrated, across space and time, through the present: (I) the Jews being associated with Satan and consigned to Hell (Qur’an 4:60, 4:55, 58:14 â€” 19, and 98:6); (II) the imposition of the Qur’anic poll-tax (jizya; Qur’an 9:29) on Jews, specifically, and (III) the related enforcement of the Qur’anic (2:61) “curse” upon the Jews for killing the Prophets, and other transgressions against Allah’s will, meriting their permanent humiliation and abasement; and, last in connection to this curse, (IV) the Jews’ transformation into apes/swine, as punishment (Qur’an 2:65, 5:60, and 7:166). The contemporary case of Muhammad Sayyid Tantawi, author of a 700 page scholarly treatise rationalizing Muslim Jew hatred,Â Banu Isra’il fi al-Qur’an wa al-SunnaÂ [Jews in the Qur’an and the Traditions], and current Grand Imam of Al-Azhar University, demonstrates the prevalence and depth of sacralized, “normative” Jew hatred in the contemporary Muslim world. Even if all non-Muslim Judeophobic themes were to disappear miraculously overnight from the Islamic world, the living legacy of anti-Jewish hatred, and violence rooted in Islam’s sacred texts â€” Qur’an, hadith, and sira â€” would remain intact. The assessment and understanding of Islamic antisemitism must begin with an unapologetic analysis of the anti-Jewish motifs contained in these foundational texts of Islam. Tantawi’s case illustrates the prevalence and depth of sacralized, “normative” Jew hatred in the contemporary Muslim world. Even if all non-Muslim Judeophobic themes were to disappear miraculously overnight from the Islamic world, the living legacy of anti-Jewish hatred, and violence rooted in Islam’s sacred texts â€” Qur’an, hadith, and sira â€” would remain intact. The assessment and understanding of Islamic antisemitism must begin with an unapologetic analysis of the anti-Jewish motifs contained in these foundational texts of Islam. 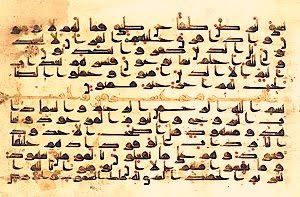 …the Koran remains the infallible word of God, the immediate word of God sent down, through the intermediary of a “spirit” or “holy spirit” or Gabriel, to Muhammad in perfect, pure Arabic; and every thing contained therein is eternal and uncreated. The original text is in heaven…The angel dictated the revelation to the Prophet, who repeated it after him, and then revealed it to the world. Modern Muslims also claim that these revelations have been preserved exactly as revealed to Muhammad, without any change, addition, or loss whatsoever…the Koran remains for all Muslims, and not just “fundamentalists” the uncreated word of God Himself. It is valid for all times and places; its ideals are, according to all Muslims, absolutely true and beyond any criticism. The Qur’anic depiction of the Jews â€” their traits as thus characterized being deemed both infallible and timeless â€” has been summarized in elegant, complementary discussions by Haggai Ben-Shammai,Â Â and Saul S. Friedman.Ben-Shammai focuses on two key examples of Jew hatred in the Qur’an (and Qur’anic exegesis) â€” the “curse against the Jews” (in sura 2, verse 61), and Qur’anic verses (most notably, sura 5, verse 82) rationalizing why Jews were to be held in greater contempt than Christians.Â Â Friedman’s presentation is a remarkably compendious synthesis of anti-Jewish motifs developed in the Qur’an â€” Jews as misguided souls designated to suffer a “lighter punishment” in the corporeal world, but ultimately consigned to the hellfire if they fail to accept the “true faith” of Islam. …from time immemorial the Jews rejected God’s signs, the wonders performed by the prophets. They did not accept the prophecy of Jesus whom the Koran counts among the prophets. But this is all part of the Jews’ nature: they are by their very nature deceitful and treacherous. …they then denied him out of jealousy of the Arabs, though they knew in truth he is the prophet. Furthermore, this Jewish trait brought them to grave heresy. They thought that they would succeed not only in leading humankind astray but also in fooling God…(5:64) “The Jews have said, God’s hand is tied…As often as they light a fire for war, God will extinguish it”. Exegetes cite traditions which prove that the Jews always hated the true prophets and put them to death. Therefore they always failed in their wars and their Temple was destroyed time and again. …the Christians have a clear priority over the Jews. If we posit that the early tradition reflects the historical development of early Islam and that the political, economic, and social reality was apt to produce this preference, there is no doubt that these traditions reflect this reality. …”abasement and poverty were imposed and laid down upon them”, as when someone says “the imam imposed the poll tax (jizya)on free non-Muslim subjects”, or “The man imposed land tax on his slave”, meaning thereby that he obliged him [to pay ] it, or, “The commander imposed a sortie on his troops”, meaning he made it their duty. …Ibn Zaid said about His words “and abasement and poverty were imposed upon them”, ‘These are the Jews of the Children of Israel’. I said: ‘Are they the Copts of Egypt?’ He said: “What have the Copts of Egypt to do with this? No, by God, they are not; but they are the Jews, the Children of Israel. …By “and slain the prophets unrightfully” He means that they used to kill the Messengers of God without God’s leave, denying their messages and rejecting their prophethood. …”humiliation and wretchedness” covered them like a dome, or stuck to them like wet clay to a wall â€” a metaphor for their denial of the bounty. The Jews are mostly humiliated and wretched either of their own accord, or out of coercion of the fear of having their jizya doubled….Either they became deserving of His wrath [or]…the affliction of “humiliation and wretchedness” and the deserving wrath which preceded this. …”because they disbelieved and killed the prophets unjustly” by reason of their disbelief in miracles, e.g. the splitting of the sea, the clouds giving shade, and the sending of the manna and quails, and splitting of the rock into twelve fountains/or, disbelief in the revealed books, e.g. the Gospel, Qur’an, the verse of stoning, and the Torah verse in which Muhammad is depicted; and their killing of the prophets like Shay`aa [Isaiah], Zakariyyaa, Yahyaa, et al., all killed unjustly because they considered that of these prophets nothing was to be believed and thus they deserved to be killed. In addition [God] accuses them of following fantasy and love of this world, as he demonstrates in His saying [line 14] “this if for their transgression and sin” i.e. rebelliousness, contrariness, and hostility brought them into disbelief in the signs, and killing the prophets. Venal sins lead to serious sins, just as small bits of obedience lead to larger ones….God repeated this proof of what is inveterate [in the Jews], which is the reason for their unbelief and murder, and which is the cause of their committing sins and transgressing the bounds God set. This ayah indicates that the Children of Israel were plagued with humiliation, and this will continue, meaning it will never cease. They will continue to suffer humiliation at the hands of all who interact with them, along with the disgrace that they feel inwardly. Al-Hassan commented, “Allah humiliated them under the feet of the Muslims, who appeared at a time when the Majus (Zoroastrians) were taking the jizya from the Jews. Also, Abu Al-’Aliyah, Ar-Rabi bin Anas and As-Suddi said that ‘misery’ used in that ayah means ‘poverty’. ‘Atiyah Al-’Awfi said that ‘misery’ means, ‘paying the tilth (tax)’. In addition, Ad-Dahhak commented on Allah’s statement, “and they drew on themselves the wrath of Allah”, ‘They deserved Allah’s anger’. Also, Ibn Jarir said that, “and they drew on themselves the wrath of Allah” means, ‘They went back with the wrath. Similarly, Allah said, “Verily, I intend to let you draw my sin on yourself as well as yours” (Qur’an 5:29) meaning, ‘You will end up carrying my and your mistakes instead of me’. Thus the meaning of the ayah becomes, “They went back carrying Allah’s anger: Allah’s wrath descended upon them; they deserved Allah’s anger’. Allah’s statement, “That was because they used to disbelieve in the Ayat (proofs, evidence, etc.) of Allah and killed the Prophets wrongfully”, means ‘This is what We rewarded the Children of Israel with: humiliation and misery’. Allah’s anger that descended on the Children of Israel was a part of the humiliation they earned, because of their defiance of the truth, disbelief in Allah’s Law, i.e., the Prophets and their following. The Children of Israel rejected the Messengers even killing them. Surely there is no form of disbelief worse than disbelieving in Allah’s ayat and murdering the Prophets of Allah. …Moses is telling them to go back to Egypt and resume their servile, humble, humdrum life where they can have their cucumber, lentils, garlic, and onion. They would not, it seems, be strong enough for the great and noble task God had called on them to undertake…I favor this second meaning because it reminds the Israelites of their misery and humiliation in Egypt…”Ignominy and humiliation stamped upon them [the Jews] and they incurred the wrath of God” (Verse 61).Historically, this came later as a result of their disbelief in God’s revelations, their killing of some of the prophets, and their general disobedience. These developments occurred several generations after Moses, but “ignominy and humiliation” are mentioned here because they fit the context of their condescension and insolence. Moses reminded them of the suffering and distress they had undergone in Egypt and of God’s kindness in delivering them from the Pharoah. The classical Qur’anic commentaries of Tabari, Zamakashari (d. 1143), Baydawi, and Ibn Kathir on Qur’an 5:82 demonstrate a uniformity of opinion on the confirmed animus of the Jews towards the Muslims, which is repeatedly linked to the curse of Qur’an 2:61. In my [Tabari’s] opinion, [the Christians] are not like the Jews who always scheme in order to murder the emissaries and the prophets, and who oppose God in his positive and negative commandments, and who corrupt His scripture which He revealed in His books. Allah said, “Verily you will find the strongest among men in enmity to the believers the Jews and those who commit Shirk [i.e., the polytheists, or idolators]”. This describes the Jews, since their disbelief is that of rebellion, defiance, opposing the truth, belittling other people, and degrading the scholars. This why the Jews â€” may Allah’s continued curses descend on them until the Day of Resurrection â€” killed many of their Prophets and tried to kill the Messenger of Allah several times, as well as performing magic spells against him and poisoning him. They also incited their likes among the polytheists against the Prophet. What is noteworthy about the phrasing of this statement [Qur’an 5:82] is the fact that the Jews are mentioned ahead of the idolators in being most hostile to the believers, and their hostility is open and easily recognized by anyone who cares to pay attention… By mentioning the Jews first in this instance, when it would be thought they would be less than the idolators in their hostility to the believers as they have revealed Scriptures of their own, makes the ordering particularly significant. Because of the way it is phrased, the statement directs attention to the fact that the Scriptures have not changed the Jews and that they are just the same as the unbelievers in their ardent hostility towards the believers. This is the least that can be said, although it is possible that the statement means that in their hostility to the believers, the Jews took the lead, their animosity greater than that of the idolators. When we look at the history of Islam ever since its very early days until the present moment, we have no doubt that the hostility of the Jews to the believers has always been more fierce, determined and longer lasting than the hostility of the idolators and unbelievers. From the very first moment the Muslim state was established in Madinah, the Jews adopted a hostile attitude towards it. They schemed against the Muslim community from the outset of its very existence. Qur’anic references to this hostility and scheming are sufficient to give a good idea of the unabating war the Jews have waged against Islam and its Messenger (peace be upon him), and the Muslim community throughout history. Indeed, this war has not abated for a single moment throughout fourteen centuries. It continues to rage throughout the world even today. We remind ourselves of this history in order to appreciate God’s purpose in mentioning the Jews ahead of the idolators in the ranking of those who are hostile to Islam…Theirs is a wicked nature which is full of hatred for Islam, its Prophet and its followers. Hence, God warns His Messenger and the believers against its designs. This wicked and most vile nature could only be defeated in past history by Islam and its followers when they truly followed Islamic principles. Our modern world will not be saved from this wicked nature except by Islam, and only when its people implement Islam completely in their lives. When the [Muslim] Emigrants [from Mecca] became the neighbors of the Jews [in Medina]…the Jews began to envy the Muslims the blessings of their new faith,Â Â and the union which resulted after dissension. They proceeded to undermine the belief of our [i.e., the Muslim] masses, and to lead them astray. They aided our enemies and those envious of us. From mere misleading speech and stinging words they plunged into an open declaration of enmity, so that the Muslims mobilized their forces, exerting themselves morally and materially to banish the Jews and destroy them. Their strife became long-drawn and widespread, so that it worked itself up into a rage, and created yet greater animosity and more intensified rancor. The Christians, however, because of their remoteness from Mecca and Medina, did not have to put up with religious controversies, and did not have occasion to stir up trouble, and be involved in war. That was the first cause of our dislike of the Jews, and our partiality toward the Christians. The Israelite race is the one that the Muslims hate the most. They think that the Jews hate Islam more than any other nation…Speaking of a fierce enemy, the Muslims say: “He hates me the way the Jews hate us.” During the past century, the Israelites were often put to death because they were accused rightly or wrongly to have something disrespectful about the Koran. The Muslim hates no other religion as he hates that of the Jews…even now that all forms of political oppression have ceased, at a time when such great tolerance is shown to the Christian population, the Arabs still bear the same contemptuous hatred of the Jews. It is a commonplace occurrence, for example, for two Arabs reviling each other to call each other Ibn Yahudi; (or “son of a Jew”) as the supreme insult…it should be mentioned that in these cases, they pronounce the word Yahudi; in a violent and contemptuous tone that would be hard to reproduce. …it is interesting to note that even the fallahin, the Egyptian peasantry (almost all of them Muslim) certainly did not know many Jews at close quarters, but nevertheless would revile them. The enmity some Muslims felt for the Jews incited them to violence, persecution, and physical assault, as in 1882…Hostility was not necessarily the result of envy, for many Jews were poverty-stricken and even destitute and were sometimes forced to apply for financial assistance to their co-religionists abroad. Unfortunately, these were few, because Jews had wronged themselves (Qur’an 16:118) by losing faith (Qur’an 7:168) and breaking the covenant (Qur’an 5:13). Sounding much like an ante-Nicean polemic, the Qur’an contends that the Jews are a nation that has “passed away” (Qur’an 2:134, 2:141). Twice God sent his instruments (the Assyrians [or Babylonians?] and Romans)Â Â to punish this perverse people (Qur’an 17:4 â€” 5), and their dispersal over the face of the earth is proof of his rejection (Qur’an 7:168). For the arrogant Jews who still claim to be His chosen people, the Qur’an instructs, “Say: ‘You of Jewry, if you assert that you are the friends of God, apart from other men, then do you long for death, if you speak truly.’” (Qur’an 62:6). Apart from breaking the covenant, “they denied the revelations of Allah and killed their prophets unjustly” (Qur’an 4:155). Abuse of prophets is a consistent theme. In the Sura of the Cow [i.e., sura 2], Jews are asked, “Why did you kill the prophets of Allah if you are true believers” (Qur’an 2:91). Jews are chastised for plotting against Jesus (Quran 3:55 and 4:157). Instead of revering Muhammad, whom they ridicule as Ra’ina (the evil one) (Qur’an 2:104; 4:46), these “perverse” creatures say Ezra is the messiah and they worship rabbis who defraud men of their possessions (Qur’an 9:30). In a long diatribe in the Sura of the Cow, where they are typified as an “envious” people (Qur’an 2:109) whose hearts are “hard as rock” (Qur’an 2:74), Jews are accused of confounding the truth (Qur’an 2:42), deliberately perverting scripture (Qur’an 2:75), and telling lies (Qur’an 2:78). Illiterate, senseless people of little faith (Qur’an 2:89), they engage in vague and wishful fancies (Qur’an 2:111). Shame and misery have been stamped on them for their transgressions (Qur’an 2:62)Â , which include usury (Qur’an 2:275), breaking the Sabbath (Qur’an 2:65), sorcery (Qur’an 2:102), hedonism (Qur’an 2:95Â ), and idol worship (Qur’an 2:53Â ). …their lack of faith, taking words out of context, disobedience and distortion (Qur’an 4:45)Â , their “monstrous falsehoods” (Qur’an 4:156), usury, and cheating (Qur’an 4:160)Â . The charge of cheating is prominently featured in Imran [sura 3] where most Jews are accused of being “evildoers” (Qur’an 3:111Â ) who, deceived by their own lies (Qur’an 3:24), try to “debar believers from the path of Allah and seek to make it crooked” (Qur’an 3:99). Jews mislead (Qur’an 3:69), confound the truth (Qur’an 3:71), twist tongues (Qur’an 3:79Â ), and say, “We are not bound to keep faith with Gentiles” (Qur’an 3:75). Believers are advised by the Sura of The Table [sura 5] not to take these clannish people as their friends (Qur’an 5:51). “The most implacable of men in their enmity to the faithful” (Qur’an 5:82), Jews are blind and deaf to the truth (Qur’an 5:71). What they have not forgotten, they have perverted. Do you see those that have befriended a people [the Jews] with whom Allah is angry? They belong neither to you nor to them. They knowingly swear to falsehoods. Allah has prepared for them a grievous scourge. Evil indeed is that which they have done. They use their faith as a disguise and debar others from the path of Allah. A shameful scourge awaits them. Neither their wealth nor their children shall in the least protect them from Allah. They are the heirs of Hell and there they shall abide forever. On the day when Allah restores them all to life, they will swear to Him as they now swear to you, thinking that their oaths will help them. Surely they are liars all. Satan has gained possession of them and caused them to forget Allah’s warning. They are the confederates of Satan; Satan’s confederates assuredly will be lost. The main portrayal of the Jews in the Qur’an is that of rejectors of Allah’s truth and persecutors of his prophets. This meant, of course, that the Jews were mortal enemies of Islam. From this motif were derived other, subsidiary themes. Here the Jews were portrayed as possessors of a tarnished truth (which they themselves tarnished) who, for the most part, could not recognize in Muhammad’s revelation the most perfect version of their own, They ought to have welcomed and acknowledged this new doctrine of completion and fulfillment. Instead they denied and rejected it. Rather than put their full weight behind Muhammad’s people they chose to oppose him, sometimes even aiding his enemies. Yet it was the Jews, from Islam’s point of view who, more than anyone else, were obliged to give such acknowledgment. It is hardly surprising then, that the Qur’an in one well-known condemnation [Qur’an 5:82] of the Jews described them as “the most hostile in intent toward the believers” along with the pagans. This already encapsulated, in essence, the Qur’anic view of the Jews. Such a stubborn denial of truth â€” part of the “eternal” Jewish nature, as early Islam conceived it â€” impelled the Jews to act with conspiratorial malevolence toward Muhammad and his new tradition. Hence the various motifs of Jewish perfidy in early Islamic theoretical and historical literature. The Jews’ role as allies of Muhammad’s various opponents was, for example, a commonplace in the hadith, sira, and historical literature. One of the most extreme forms of Jewish perfidiousness alleged in the Islamic sources was the portrayal of the Jews as the killers of Muhammad. In keeping with the Qur’anic portrayal of the Jews as persecutors and even killers of their own prophets, this idea brought the story up to date, as it were, in a sort of denouement of the long drama of Jewish attacks on the prophets and prophecy. The archetypal logic of the tale was flawless: in Islamic terms, this was the final Jewish assault on the apex of prophetic religion… [R]ecounted…in the standard story of Muhammad’s painful and protracted death from poisoning by a Jewish woman. Another early archetype of Jewish perfidy and destructiveness toward Islam was the story of Abd Allah b. Saba, the man held responsible, in the main Sunni historiographical accounts, for the first serious internal rebellion suffered by Islam. Culminating in the assassination of Islam’s third caliph, Uthman, this rebellion was traditionally perceived as the first, and fateful, breach in Muslim unity; the breach that adumbrated the subsequent period of harsh internal strife and dangerous disunity which marked the permanent loss of Islam’s political innocence. Described in the sources as an uprising in which the putative Jew, and alleged founder of the heterodox Shi’ite sect, Abd Allah b. Saba, played the key role, the portrayal of this major Islamic catastrophe exuded resonances of Jewish and Jewish-inspired heterodox elements conspiring to wreck the political stability and security of Islam; indeed wreck Islam itself. We notice them [i.e., the Jews] aggressing against Muslim and Christian Holy Sites in Palestine, violating the sanctity of the Holy Mosque (Al-Aqsa), of the church of Sepulcher in Jerusalem and of the Church of Nativity in Bethlehem. They [i.e., the Jews] try to kill all the principles of divine faiths with the same mentality of betraying Jesus Christ and torturing Him, and in the same way that they tried to commit treachery against Prophet Mohammad (peace be upon Him). Ben-Shammai, Nettler, and Friedman omit from their discussions, however, any comprehensive analysis of Qur’an 9:29, “Fight against such of those who have been given the Scripture as believe not in Allah nor the Last Day, and forbid not that which Allah hath forbidden by His messenger, and follow not the Religion of Truth, until they pay the tribute readily, being brought low.” The injunctions delineated in this verse clearly do not apply to Jews alone, including Christians, and perhaps Zoroastrians, as well. Yet Qur’an 9:29 and the modes of subjugation it mandates for the Jews (and those other of “Scriptured” faiths) â€” via peaceful or violently-imposed submission â€” provide the framework for implementing the myriad dictates of the Qur’an, including its antisemitic injunctions, under Shari’a, the sacralized Islamic jural order. This honorable Ayah was revealed with the order to fight the People of the Book, after the pagans were defeated, the people entered Allah’s region in large numbers, and the Arabian Peninsula was secured under the Muslims’ control. Allah commanded His Messenger to fight the People of the Scriptures, Jews and Christians… Allah said, “until they pay the Jizya”, if they do not choose to embrace Islam, ‘with willing submission’, in defeat and subservience, “and feel themselves subdued”, disgraced, humiliated and belittled. Therefore, Muslims are not allowed to honor the people of Dhimma or elevate them above Muslims, for they are miserable, disgraced, and humiliated. Moreover, forcing Jews, in particular, to pay the Qur’anic poll tax “tribute”, “readily”, while “being brought low”, is consistent with their overall humiliation and abasement in accord with Qur’an 2:61, and its directly related verses. The Jews and Christians have corrupted their faith since they have distorted certain basic components of that [true] belief [i.e., Islam]…The People of the Book do not follow the Law revealed by God through His Messenger. The purpose for which the Muslims are required to fight is not as one might think to compel the unbelievers into embracing Islam. Rather their purpose is to put an end to the sovereignty and supremacy of the unbelievers so that the latter are unable to rule over men. The authority to rule should only be vested in those who follow the true faith; unbelievers who do not follow this true faith should live in a state of subordination…Jizyah symbolizes the submission of the unbelievers to the suzerainty of Islam. To pay the jizyah of their own hands “humbled” refers to payment in a state of submission. “Humbled” also reinforces the idea that the believers, rather than the unbelievers, should be the rulers in performance of their duty as God’s vicegerents. Some nineteenth-century Muslim writers and their followers in our own times never seem to tire of their apologies for jizyah. But God’s religion does not require that apologetic explanations be made on its behalf. The simple fact is that according to Islam, non-Muslims have been granted the freedom to stay outside the Islamic fold and to cling to their false, man-made ways if they so wish. They have, however, absolutely no right to seize the reigns of power in any part of God’s earth nor to direct the collective affairs of human beings according to their own misconceived doctrines. For if they are given such an opportunity, corruption and mischief will ensue. In such a situation the believers would be under an obligation to do their utmost to dislodge them from political power and to make them live in subservience to the Islamic way of life. One of the advantages of jizyah is that it reminds the Dhimmis every year that because they do not embrace Islam…they have to pay a price â€” jizyah â€” for clinging to their errors. Muhammad bin Ishaq and others, including al-’Awfi who reported from Ibn ‘Abbas, said; “These Ayat [verses] were revealed about the clergy of the People of the Scriptures who embraced the faith. For instance, there is Abdallah bin Salam, Asad bin ‘Ubayd, Tha’labah bin Sa’yah, Usayd bin Sa’yah, and so forth. This Ayah [3:113] means that those among the People of the Book [Book = Bible] whom Allah rebuked earlier are not all the same as those among them who embraced Islam. 5. Ibn Warraq.Â Why I Am Not a Muslim. Prometheus Books, Amherst, New York, 1995, p. 105. 6. Theodore Noldeke. “The Koran”, originally published in the Encyclopedia Britannica, 9th edition, vol. 16 (1891), pp. 597ff. Reproduced in Ibn Warraq (editor).Â The Origins of the Koran. Prometheus Books, Amherst, New York, 1998, pp. 37-38. 7. Warraq,Â Why I Am Not a Muslim, pp. 105, 216. 8. Ben-Shammai, “Jew-hatred in the Islamic tradition and Qur’anic exegesis”, pp. 164-168. 9. Saul S. Friedman. “The Myth of Islamic Toleration”, chapter 1, pp. 2-3, in,Without Future. The Plight of Syrian Jewry.Â Praeger, New York, 1989. 10. Ben-Shammai, “Jew-hatred in the Islamic tradition and Qur’anic exegesis”, pp. 164-168. 11. Friedman, “The Myth of Islamic Toleration”, pp. 2-3. 12. Ben-Shammai, “Jew-hatred in the Islamic tradition and Qur’anic exegesis”, p. 164. 14. The Qur’anic poll tax or jizya, based upon Qur’an 9:29. As was apparently done with most the traditions during the second century of the Hegira [i.e., the second century after 622 C.E.]. Most of the traditions cited here are from the comprehensive commentary of Muhammad b. Jarir at-Tabari (d. 923) and are found in parallel versions in most of the collections of the traditions assembled in the ninth and early tenth centuries C.E. 20. Mufti Muhammad Shafi.Â Ma’ariful-Qur’an, Karachi, 1996-2004, 6 Vols. 22. The Life of Muhammad. A Translation of Ibn Ishaq’s Sirat Rasul Allah.Translated by A. Guillaume, Oxford, England, 2001, p. 461; Ibn Sa’d.Â Kitab Al-Tabaqat Al-Kabir.Â English translation by S. Moinul Haq and H.K. Ghazanfar. New Delhi, India, 1993, p. 95. 23. Shafi.Â Ma’ariful-Qur’an, Vol. 3 p. 233. 24. Ben-Shammai, “Jew-hatred in the Islamic tradition and Qur’anic exegesis”, p. 167. 26. Ben-Shammai, “Jew-hatred in the Islamic tradition and Qur’anic exegesis”, p. 167. 27. Tabari.Â The Commentary on the Qur’an. With an Introduction and Notes by J. Cooper. Edited by W. F. Medlung, A. Jones. Oxford University Press, 1987, pp. 353-355. 28. Tabari.Â Jami` al-Bayan fii Tafsiir al-Qur’aanÂ Ed. M. Shakir. Beirut 1421/2001. Vol. X, pp. 125, 126. English translation by Michael Schub. 29. Baydawi. ed. Fleischer, H. O.Â Commentaius in Coranum. Anwaar al-Tanziil Wa-Asraar al-Ta’wiil.Â 1846 â€” 48. Reprint OsnabrÃ¼ck 1968, p. 63. English translation by Michael Schub. 30. Ibn Kathir.Â Tafsir Ibn Kathir, Riyadh, Vol. 1, 2000, pp. 245-246. 31. Sayyid Qutb.Â In the Shade of the Qur’an.Â Leicester, England, 1999, Volume 1, Surah 1-2, p. 91. 33. Sayyid Abul A’la Mawdudi.Â Towards Understanding the Qur’an.Â Leicester, England, 1988, Vol. 1, p. xiii. 35. Ben-Shammai, “Jew-hatred in the Islamic tradition and Qur’anic exegesis”, p. 167. Qur’an 5:82 as cited by the author is the Pickthall translation. 36. Tabari.Â Jami` al-Bayan fii Tafsiir al-Qur’aan, Vol. VII, p 5ff. English translation by Michael Schub. 37. Zamakshari,Â Tafsir al-kashshaf an haqa’iq ghawamid at-tanzil wa-uyun al-aqawil fi wujuh at-ta’wil.Â Cairo, 1953-1955. English translation in, Helmut Gatje.Â The Qur’an and its Exegesis.Â Berkeley, CA, 1976, p. 134. The last line included (“the Jews focused their hostility to the Muslims in the most overt and intense manner”) was omitted by Gatje, and was translated by Dr. Michael Schub from the Beirut 2001 edition ofÂ Tafsir al-kashshaf, p. 701 and ff. 39. Ibn Kathir.Â Tafsir Ibn Kathir, p. 246. 40. Sayyid Qutb.Â In the Shade of the Qur’an.Â pp. 217-218, 220. 42. Ben-Shammai, “Jew-hatred in the Islamic tradition and Qur’anic exegesis”, p. 167. 43. Edward William Lane.Â An Account of the Customs of the Modern Egyptians. (Facsimile of the 1860 edition), Dover, New York, 1973. See pp. 553-556. 44. “A Risala of Al-Jahiz”. Translated by Joshua Finkel.Â Journal of the American Oriental Society, 1927, Vol. 47, pp. 311-334. While there are other anti-Christian writings extant in Mohammedan literature, no work goes so directly to the vital features of the problem, no work is of so potential of deadly effect. 50. “A Risala of Al-Jahiz”, p. 324. 53. Roger. Arnaldez. “al- Muhasibi”.Â Encyclopaedia of Islam. Edited by: P. Bearman , Th. Bianquis , C.E. Bosworth , E. van Donzel and W.P. Heinrichs. Brill, 2007. 54. al-Muhasibi.Â The Book of the Patronage of the Law of AllahÂ (Arabic), edited by Margaret Smith, London, 1940/41, p. 256. English translation cited in, Avraham Grossman, “The Economic and Social Background of Hostile Attitudes Toward the Jews in the Ninth and Tenth Century Muslim Caliphate”, in Shmuel Almog,Â Antisemitism Through the Ages, Oxford, 1988, p. 186, note 39. 57. A.B. Clot.Â Apercu general sur l’Egypte, 1840, Vol. II, pp. 139-142. Excerpts translated by Martine Chauvet from, Jacob M. Landau.Â Jews in Nineteenth Century Egypt.Â New York, 1969, Document XII, pp. 152-154. 58. Moritz LÃ¼ttke.Â Aegyptiens neue Zeit. Ein Beitrag zur Culturgeschichte des gegenwartigen Jahrhunderts sowie zur Charakteristik des Orients unde des Islam.Â Leipzig, 1873, Vol. 1, pp. 97-99. English translation in, Landau.Â Jews in Nineteenth Century Egypt, pp. 18-19. 59. Landau.Â Jews in Nineteenth Century Egypt, p. 19. 60. Friedman, “The Myth of Islamic Toleration”, pp. 2-3. 61. Ibid, p.2. Friedman derives all his Qur’anic citations (numberings and excerpts) from N.J. Dawood.Â The Koran, Harmondsworth, U.K., 1956. The earlier and later commentators differed over the identity of these invaders. ManyÂ IsrailiyyatÂ (reports from Jewish sources) were narrated about this, but I did not want to make this book too long by mentioning them, because some of them are fabricated, concocted by their heretics, and others may be true, but we have no need of them, praise be to Allah. What Allah has told us in his book is sufficient and we have no need of what is in the other books that came before. Neither Allah nor His Messenger required us to refer to them. Allah told His Messenger that when [the Jews] committed transgression and aggression, Allah gave their enemies power over them to destroy their country and enter the innermost parts of their homes. Their humiliation and subjugation was a befitting punishment, and your Lord is never unfair or unjust to his servants. They had rebelled and killed many of the Prophets and scholars. …it may be that the two occasions refer to (1) the destruction of the Temple by the Babylonian Nebuchadnezzar in 586 B.C, when the Jews were carried of into captivity, and (2) the destruction of Jerusalem by Titus in A.D. 70, after which the Temple was never rebuilt…On both occasions it was a judgment of God for the sins of the Jews, their backslidings, and their arrogance. 63. Friedman, “The Myth of Islamic Toleration”, p.2. 65. This verse is 2:61 in most Qur’anic numbering systems. 66. This verse is 2:96 in most Qur’anic numbering systems. 67. This verse is 2:54 in most Qur’anic numbering systems. 68. Friedman, “The Myth of Islamic Toleration”, p.3. 69. This verse is 4:46 in most Qur’anic numbering systems. 70. This verse is 4:161 in most Qur’anic numbering systems. 71. This verse is 3:110 in most Qur’anic numbering systems. 72. This verse is 3:78 in most Qur’anic numbering systems. 74. Ibid., Friedman, p. 3. 75. This verse is 98:6 in most Qur’anic numbering systems. 76. Ben-Shammai, “Jew-hatred in the Islamic tradition and Qur’anic exegesis”, pp. 164-168. 77. Friedman. “The Myth of Islamic Toleration”, pp. 2-3. 78. Ronald M. Nettler. “Islamic Archetypes of the Jews: Then and Now”, in Robert Wistrich, Editor,Â Anti-Zionism and Antisemitism in the Contemporary World.New York, 1990, pp. 64-65. 80. Hartwig Hirschfeld. Abdallah Ibn Saba. The Jewish Encyclopedia.com. http://www.jewishencyclopedia.com/view.jsp?artid=189&letter=A; Tabari.Ta’rikh al-Rusul wa al-Muluk, M.J. de Goeje, Editor, Leiden, 1898, Vol. 1 (6), pp. 3941-42, English translation in Nettler, p. 66. 81. Ibid. Nettler, pp. 65-66; Tabari as above in note 86. 82. “Speech of President Bashar Al-Assad Welcoming His Holiness Pope John Paul II on his arrival in Damascus”, Syria, May 5, 2001. Syrian Arab News Agency. 83. Ibn Kathir.Â Tafsir Ibn Kathir, Riyadh, Vol. 4, 2000, pp. 405-406. 84. Mawdudi.Â Towards Understanding the Qur’an.Â Vol. 3, pp. 201-202.
read it form the source directly…decide for yourself whether it’s a religion of peace or destruction…. Anti-Semitism? Once, when Muhammad (may peace be upon him) was asked to preach at a synagogue, he said, “Yes, for all these places are holy.”, or something like that, only in Arabic. The Holy Quran also advises that there is no compulsion in religion. It is Sayyid Qutb’s work that says that if there are no other religions, there will be no compulsion in religion, and everyone will join Islam. This is not dictated by the Holy Quran, and therefore not necessarily a part of Islam. In former communist countries there was also no compulsion to vote for the communist party. There was “full democracy”. The citizen had free choice – either to vote for the communist party or be tortured at a police station. There is no compulsion in religion but those who do not want to convert to islam must live in a state of subjugation and humiliation and pay jizzya, those who want to leave islam must be killed. Free choice for you kafir, no compulsion in religion. This is not true-how do you explain the surge of books by people who used to be Islamic? Umar, the second caliph, was walking around Arabia, checking on how everyone was doing, so he could assist them, and help them, as often he did, and caught sight of a Jewish woman, begging on the streets. Rather than beat her or even ignore her, as I believe most Americans (and, admittedly, most Muslims) would do, he apologized for taking her money in her youth, then not providing adequate protection and service. He helped her, and gave her a better life. If non-Muslims were humiliated, then what explains many philosophers who were not Muslim? 1. The “surge of books” is not a surge, rather a small trickle and it is a very recent phenomenon which is due to the ability of converts away from islam to survive in the West. 2. Non-muslim are humiliated and murdered, and quite often, in reality. Please do not use unverifiable accounts invented by muslims to justify islam – the reality is with us now and it is not what you report. 3. Nearly all decent philosophers are non-muslim – the real question is why there are so few in the world of islamk!!!!!! you are a brain-dead muslim spewing mindless rubbish as is the nature of your kind. Get lost, or better still do the world a favour and remove yourself from it permamently. The Dark Ages that you like so much was a time of persecution for Jews-by the Christians. Have you seen Shakespeare’s “A Merchant of Venice”? Shylock is spat on by our protagonist, and is forced to be a moneylender because all the other jobs require one to buy things by swearing on the Holy Bible. Great situation, a time of growth, yes? This as late as Elizabethan times. In the Dark Ages, Jews were chased away from towns because they were thought to have poisoned them, after being forced to pay. Even in this age, people had a saying: Jew someone down, referring to driving a hard bargain. This is quite racist. You say, we’re better than Islam…they are anti-Semitic and we have never been, especially those Christains…then how come Hitler could so easily convince even moderate Christains to make the first Holocaust, before the fundamentalist Muslims? Get lost will ya we provided proof of the anti semitism already and you want al jizya for all your subjects but you need to reform it first. Reddog333, comments like that don’t really contribute to the conversation either. Sheikh yet Mami says that you don’t hate Muslims. Yet, Kaw, you say that spewing mind dead rubbish is the nature of Atif’s kind. Great, how not hateful of Muslims. Muslims who support feminism and want democracy are spewing rubbish too? This is how you respond to someone who may or not be a perfectly kind person who sincerely believes that the Quran does not allow offensive jihad? Fighting fire with fire only creates more hatred. Haven’t you heard? Water is the new thing. Sure, we need to fight the terrorists with fire, but insulting someone who you know nothing about except their name and their opinion on Islam is not a good idea. It is cruel. This is also an extremist site, an anti-Muslim American nationalistic extremist site, and extremes are never good. Too much of something is good for nothing-including, admittedly, most forms of extremist Islam. It is quite impossible to for a Muslim to be anti-Semitic, since the Prophet is an Arab, a Semitic people with a Semitic language descended from, according to the Holy Bible, a Semite named Ishmael or Ismail (may peace be upon all forms of his name) from a Semite called Abraham or Ibrahim (may peace be upon both forms of his name) who, by the way, “knew” a black slave woman called Hagar when she was very young to have Ishmael (may peace be upon him) the ancestor of the Arabs. Passages in the Bible have Hagar afraid to “know” Abraham (may peace be upon him), with God sending an angel to make her let him “know” her. This is the God of Christianity. If Allah is sinful and a monster for allowing a child bride, what is Christianity’s perception of God? Hagar the Arabs’ ancestor is black and “knows” a white man. So Islam is not discriminating toward Africans or whites or any other race, at heart. One day, a mother crab saw her son, also a crab, walking sideways down the breach. She told him to walk forwards, not sideways, as she wanted to become sophistocated. She attempted to show him, but found that she could only walk sideways, also. Moral: don’t tell others to do something you can’t. Like the Americans. We believed in Manifest Destiny, and killed all those heathens. We then called black people names and made them slaves. Now we complain of the fundamentalist Muslims’ calling us infidels and allowing slaves. Maybe Americans should focus on our own messed up ignorance of Jewish customs. Once, a couple teenagers walked into a park, sat down, and began saying “Om.” One of them said, jokingly, “This is, like, what Orthodox Jews do, right?” This is a true story that I witnessed myself. If you want to expose the truth, Atif has just given us a free copy of the Holy Quran, so you should be thanking him or her. If what Atif says about his or her beliefs is true, then at least some of Islam doesn’t think Israel is supposed to be alienated. If you want peace, think that the Holy Quran is evil, and that most Muslims don’t know their own faith, then you should encourage Atif not to wise up on his own faith, because they will be more peace if most Muslims don’t know their own faith. If “good Muslms” don’t want peace, then what explains “A Common Word Between Us and You”? It was a letter signed by many leading Islamic scholars pointing out the similarities between Islam and Christianity. Do yourselves a favor and google it. When Muhammad (may peace and blessings of God be upon him) slaughtered one of the Tribes of Israel, he only slaughtered the men. He sold the women and children as slaves. If he were trying to wipe out the religion Judaism, since he probably knew that Judaism was given from the mother not the father, he would’ve killed the women and the children. But he only killed the treacherous men, which proves that al Qaeda should not have bombed the World Trade Center-there were civilians, i. e., the women and children that the Prophet (may peace and blessings be upon him) spared. This ignorance of Muhammad’s (may peace and God’s bessings be upon him) mercy has led to far too much to the American, Jewish, Hindu, Buddhist, and Christian people misery and pain, and Fundamentalistic “Islam” should definitely be dispersed so that it exists only at the fringes of society. But it should be made clear that we do not want to war against the not-fundamentalistic branches of Islam. Guess who else Muhammad (may peace and God’s blessings be upon him) spared? That whole other Tribe of Israel, which hadn’t done anything against the Charter of Medina. Jizya was a pretty good deal, compared to the pogroms, forced conversions, burnings and “trials” that anyone who was ever a Jew, was then a Jew, was left handed, or even part of a different sect of Christianity than the given person, were subjected to in our enlightened Middle Ages. When Umar captured Jerusalem, it was the Christian Sophronious who only let the Jews back into Jerusalem for one day, once a year, for a fee, to see their blessed Temple, and thought himself generous, at least according to “The Rock: A tale of seventh century Jerusalem”. The Messenger (may peace and God’s blessings be upon him) knew that even Muslims would be greedy and make up excuses for slaughtering Jews and Christians, so he made it worth their while. On the Palestinian-Israeli conflict: there was no rule made that all Palestinians have to be Muslims! What about the Christian ones? And, you know, even some of the Muslim ones just want to be left alone, in peace-just like some of the Jews who are anxiously waiting for stability for their families. It is crazy Zionists and Islamic radicals who say they love Israel and the Palestinians, respectively, when really they only hate anyone who is not on the same side as them. This conflict is a result of polarizing groups that are so hateful that they refuse to see the beauty of the other side. And you, Kaw, please don’t use unverifiable accounts by Muslims invented so as to make excuses for waging military jihad. Military jihad may not be what is referred to: in Christianity holy war nowadays means putting up evangelistic signs asking us to “Welcome Jesus into Our Hearts!” or giving out annoying pamphlets. Could the same apply to the jihad? Maybe it refers to savage, cruel, vicious and wantonely unkind, sarcastic, snide arguments with the Disbelievers-yes, some of these verses have mentions of physical things, like chariots and horses. But some of these only apply to certain situation: conditions for waging jihad have to be met-but when the Disbelievers surrender, or are conquered, mercy is acceptable and encouraged; when the city of Mecca was conquered, no one was killed, even most of the Disbelievers, although they had planned to assassinate the Messenger (may peace and God’s blessings be upon him). This is possible because Muslims are encouraged to “not debate with the People of the Book, unless in the best of manner, but not with those who are unjust, and say: “We believe in the Revelation that has come down to us and in which came down to you; Our God and your God is One, and to Him do we wholly give ourselves”…”Quran 29:46 states. With those who are unjust, Muslims are not to debate kindly or in the best of manner, but snidely and sarcastically. You will love living under the Beast 666 – but, be warned, while imposing jizyah, killing Christians & Jews may be forgiven – taking the mark will not be. Worship a strange god and follow a false prophet at your peril. Obviously a muselmaniac: Yeah and 75 per cent of the victims on nine/eleven were men what is your point? Do you even have one??? So it’s okay to kill Israelis as long as they are men? Keep working on your kitman and taquiyya. Exuse me, I mean that he does not think of himself as perfect. I do not pretend that my information regarding this Charter is perfect or reliable, but I believe that this is at least partly trustworthy. So if it is, then “those who act unjustly and sinfully…wrong themselves and their families” so technically this could have meant that their entire tribe, their extended family, would be punished, so they had been warned not to act unjustly and sinfully, i. e., not to betray Muhammad (may peace and God’s blessings be upon him) or the parties referred to in this Charter. The Jews are not apes: the Quranic verse in al-Bakira refers to “Jewish” Sabbath-breakers who broke their covenant with God. Another verse says this: all those who believe in God, and the Last Day, will be companions of the Garden. It is talking of the Jews who broke their “covenant of old” with God. Oddly, the Quran says this of Jesus (may peace and God’s blessings be upon him): “We equipped him with clear Signs, and fortified him with the Holy Spirit…” and then goes on to talk about how they rejected him, although he came “confirming the Book” (that the Jews had been given before). It also talks of how they had knowingly rejected his message, knowingly being the operative, like how they were knowingly rejecting the Holy Quran, although they knew it to be true. It says that some of them, when “We gave Moses a rest, and you began worshipping the calf” and how they had deviated from God’s covenant with them. I re-read your link on the meaning of Allah Akbar, and it ended up being true-it does mean “God is greater (than all those other pagan Gods who were created, after all, by God).” I apologize for being incorrect about that. But it agrees with “Ye shall worship Me before any other”, the First Commandment. How? Well, the Commandment acknowledges other “gods”, yet says that God should be worshipped before any other. Why should we do this if God is not greater than any other? “Hear, O Israel, the Lord is our God, our Lord is One.” This agrees with “God is greater”. However, the article ignores the fact that, before the Ishmalites raised up additional “gods” like the desert djinn and the moon goddess, as well as stones that were found, they used to follow One God, which was presumably introduced to Ishmael (may peace and God’s blessings be upon him) by the slave woman Hagar, or perhaps by his father. Again, for more on this read “The Dome: a tale…”-but only if you want to. Musulman comes from Persian, and is not what the Arabs call themselves today. Not a muslim, you are a gigolo you get paid to come here and act like a moron so “Get lost or better yet remove yourself from it permanently” No, it is your discussion that is worthless because you are such a selfish freaking idiot and I will prove it. Not a muslim? You don’t like it? Go get run over by a bus dickhead. Not a muslim, my discussion adds more than yours. Do you have permission at the nut house to be playing on the e net??? Oh, was I? I apologize. I didn’t know you had any…sorry, that was mean, but I couldn’t resist! Although, how did I call anybody names? I think I’ve been pretty polite, but if I have, then I am, indeed, sorry for insulting your friends, Red Dog, whoever they may be. Oh, guess what, I have another ingenious pearl of wisdom…hurrah hurrah, I know you all love them, and aren’t I so humble. Okay, Judaism is not a race. Obviously, as you have pointed out, it is only a religion. So, even if the Quran, the Hadiths, and the Sunnah hate the religion Judaism, which they aren’t, except for probably some parts of the Sunnah, they are essentially not racist. And, unlike Mein Kampf, they accept all sorts of races into their religion: Persian, who, yes, were conquered, Turkish, I think they were conquered too, Abyssinians, such as the Christian king of Abyssinia, who was introduced to Islam when the first followers of it fled the Meccans, and the Mongolians, who themselves conquered Arabia…let us say this again: who themselves conquered Arabia, then converted. And the verses you take from, they are from a story about how the Jews started worshipping a calf, and also from a story about how they were ungrateful for the manna, the quails and things God was sending down to them, and how Moses (may peace and God’s blessings be upon him) told them, if they wanted less rather then more then by all means go down to the village but be humble and beg for the food…then the Jews were, indeed, humiliated, and ashamed, because, you see, the food really was worse, I assume, and because they had been ungrateful to their Lord. I am not naive enough to think that this only refers to some particular Jews. Rather, it refers to the kind of Jews who rejected their God’s gifts (manna), those who broke the their Covenant with God, by breaking the Sabbath, and by taking another (to worship) before God. I agree, Judaism is a wonderful religion; the religious fundamentalists should not kill Jews, or block synagogues and prevent anyone from entering them, not only because it is simply not okay to kill anyone, but also because the Quran forbids them to-this is where I disagree with you. The Quran does not make it necessary to do this. So this forbids blocking synagogues. It says: “Were Ye witnesses when death appeared before Jacob? Behold, he said to his sons:”What shall you worship after me?” They said, “We shall worship Thy God and the God of thy fathers, of Abrahim, Ismail, and Isaac-the one true Allah: to Him we surrendered. “They say, become Jews or Chiristains if Ye shall be guided to salvation. Say thou, Nay! I would rather the religion of Abraham the true, and he joined Gods not with Allah. Say Ye, We believe in Allah, and the revelation given to us, and to Abraham, Ismail, Isaac, Jacob, and the Tribes, and that given to Moses and Jesus, and that given to all prophets from their Lord: we make no difference between one and another of them: and we bow to Allah in submission. So basically, if they believe in one, single, Wise, All Knowing, All Hearing, Oft Returning to Mercy, Merciful, Cherishing, Creating, Benevolent God, (that is not, presumably, the Trinity) and all these prophet guys listed above, then they are on the right path, as long as they acknowledge others, unnamed others, as equally valid prophets. Which some Jews do. Any statement I make about Judaism would be wrong for a large number of Jews, since Judaism is a very versatile religion: you can be a Jew without believing in God. Keeping this in mind, some Jews do not make any difference between the prophets of God. And believe in God. In fact, it would be fair to say that most Jews do. If they do not, and sacrifice people to some other gods, and other stuff associated with the kind of disbelievers the Arabs were in the so-called Age of Ignorance, then they are grouped in with all those other infidels, regardless if they were born Jewish or adhere to some Jewish teachings. And that, my friend should be covered in another argument, as it is not directly Antisemitic. And then, when she dies, she leaves some of her things to one of her relatives, a Jew following the religion Judaism. Then, resulting from the battle that she was supposedly plundered from, was an agreement to let the Jews stay there and practice their religion as long as they paid a fine-after all, they were the conquered people! Some books about how Islam relates to Jews.